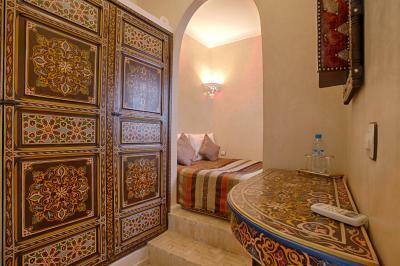 Lock in a great price for Riad Alena – rated 9.4 by recent guests! The riad is a relaxing oasis within the chaotic Medina. We loved coming back to it after a long day out. The shower had the best water pressure and the air conditioning worked perfectly--both essential to recooperating in Marrakech. Claudie, Franck, "Mu," and the woman who cooks (didn't catch her name) are exceptional hosts. Lastly, the room was gorgeous (every detail looked hand selected with care) and the location was ideal. 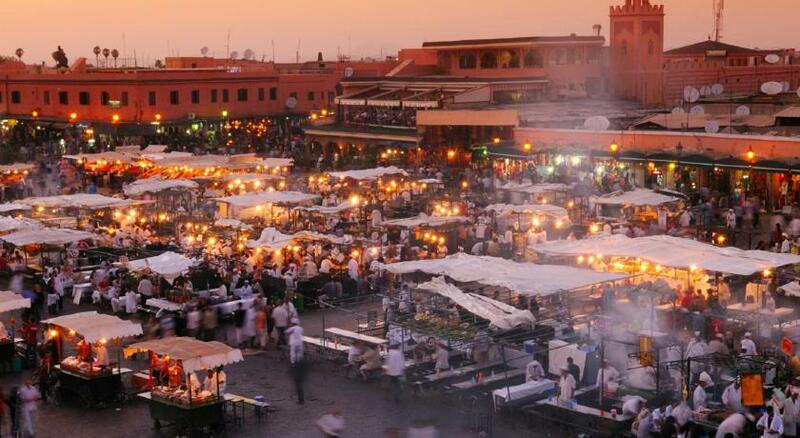 I would stay again and would recommend it to anyone I know visiting Marrakech. Claudie and Franck made it our first trip to Marrakesh very easy for us, with arrangements for the airport taxi lined up and added onto our bill. They gave us a warm welcome and great orientation to the city. Their location in the medina makes it very easy to find your way "home" at the end of a day of exploring the souks. 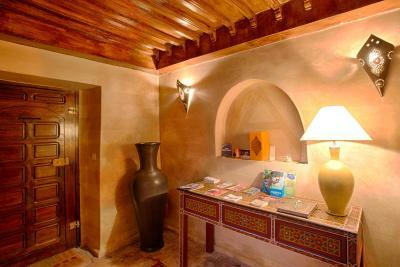 Our room (Anis) offered everything: lovely decor, privacy, comfort, with great air conditioning! Breakfasts from Ouda were very delicious -- featuring fresh bread and other Moroccan specialties. And in the evenings, we enjoyed the care and company of Moo, who prepared mint tea for us, offered us advice on the next day's adventures, and joined us in great conversation. We enjoyed our stay here so much -- completely surpassed our expectations and our experience was made more special by our Marrakesh family at Riad Alena. Merci beaucoup! Decor was good.People we're friendly and hospitality was good. Breakfast was delicious, and so was the roof top terrace. 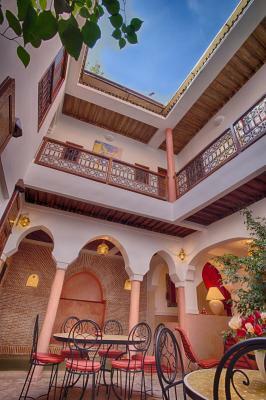 The beauty of the Riad, it’s lovely terrace and lounge, the excellent breakfast, it’s wonderful position in the Medina and near walking distance the main square. Above all the friendly, helpful and hospitable attention from Frank, Claudie, Houda and Muw. 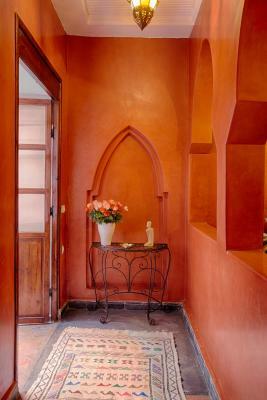 Riad Alena is located in the Medina of Marrakech, a 5-minute walk from Jemaâ el Fna Square and the Koutoubia Mosque. 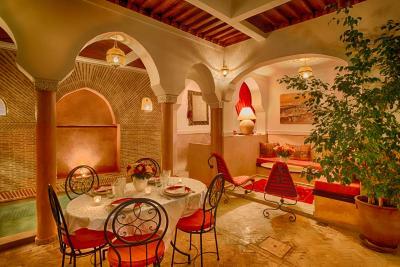 It features a traditional Moroccan décor, a rooftop terrace and free Wi-Fi in public areas. 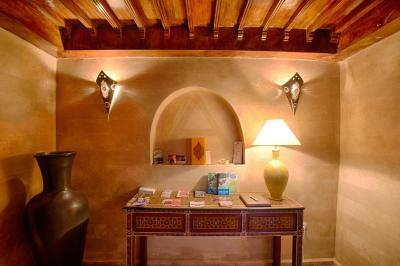 The air-conditioned guest rooms at Riad Alena are traditionally decorated and include a wardrobe. They each have a private bathroom with a shower. 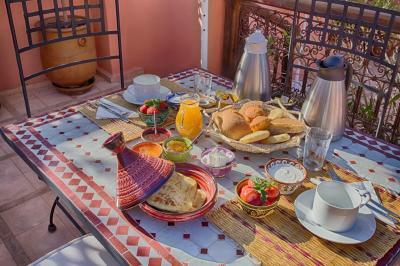 A Moroccan breakfast can be enjoyed every morning at Riad Alena. Guests are invited to watch TV in the living room, and dinners are available upon request. 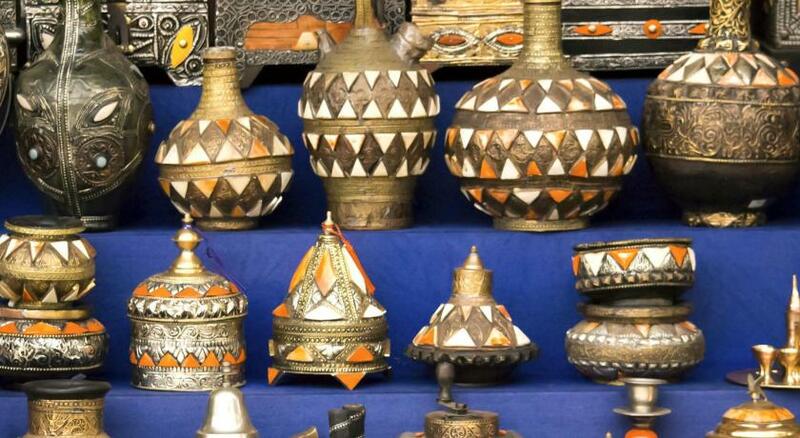 The host can help organize guided tours and excursions. 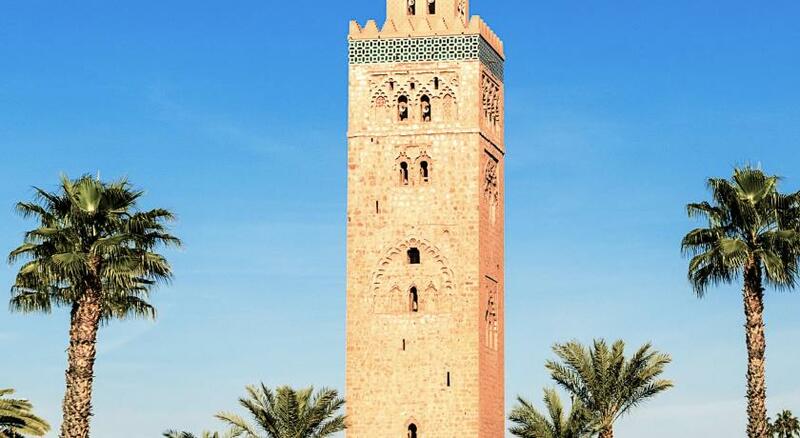 Marrakech Menara Airport is a 10-minute drive from the property and transfer services are available upon request. 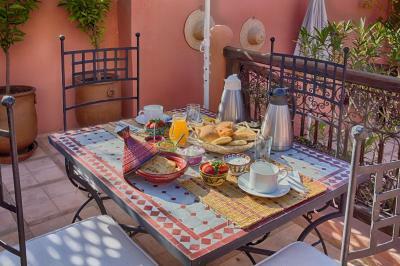 The riad is a 10-minute drive from the Majorelle Garden. 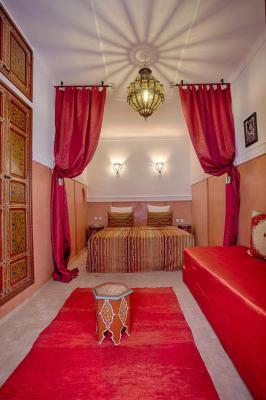 When would you like to stay at Riad Alena? 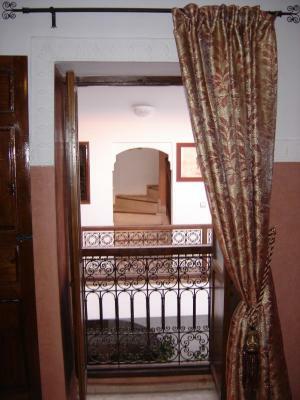 Traditionally decorated room with air conditioning and a private bathroom. Traditionally decorated, the room features a French window opening up onto the patio, air conditioning and a private bathroom. House Rules Riad Alena takes special requests – add in the next step! Riad Alena accepts these cards and reserves the right to temporarily hold an amount prior to arrival. Please inform Riad Alena of your expected arrival time in advance. You can use the Special Requests box when booking, or contact the property directly using the contact details in your confirmation. If they had proper bath area s and had doors or at least curtains in toilet and bath area. The bathroom could have been more separated from the other part of the room (it has no door). I liked everything, no negatives. I would recommend the owners in the future to double check the information on booking.com - We chose for an option of having a double bed and sofa since we were 2 single visitors, the owner said she did not receive such information. We also ticked for non-smoking room however, we could sense the smell of cigarettes during our stay and had to close the windows. Well located, easy to find. Nice area. Lovely terrace. The room was nice with a little window - balcony facing towards the inside court yard. Claudie and Frank are amazing hosts. They recommended us nice places and restaurants and they even organized for us a beautiful tour at the dessert for a good price. Also they invited us to a delicious dinner. 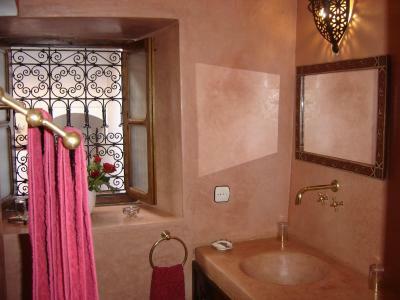 Riad Alena’s location is very good, very close to the Médina square. Sure when we go back we will go again to Riad Alena. 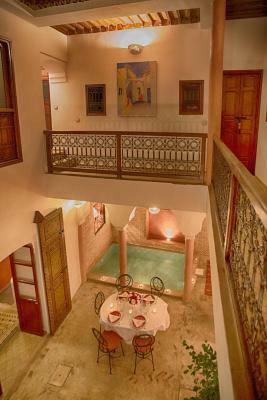 The location is the best point about this riad. Simply turn right for the main square, left for the souks! Staff were extremely welcoming and helpful, breakfast was delicious. One word of advice, don’t try and find your own way from the airport as you’ll get ripped off, they can arrange this for you! Thank you, will definitely recommend to friends!